Bibi’s Puzzle proves that a puzzle game can also be played by two people – whoever is faster at finding the correct pieces wins. The new app starring Bibi Blocksberg has 50 unique puzzles, new puzzle physics and different versions for smartphones and tablets. The exclusive interview with Mateusz Tessar, Lead Game Designer of Full Ahead! Full Ahead! Challenging skill game with innovative gyroscope controls now available on the App Store! The exciting deep sea adventure Full Ahead! from b-interaktive is now available for iPhone, iPad, and iPod touch. Along with its fresh comic steampunk design, the casual game for the whole family scores with its innovative controls, which provide a realistic throwing feeling thanks to the acceleration sensors and gyroscope. The fun steampunk adventure is now available on the App Store at the introductory price of EUR 0.89 / $ 0.99 / £ 0.69. The very best in underwater fun! The publisher b-interaktive today announced the casual game Full Ahead!, an exciting deep sea adventure for the whole family, for iPhone, iPad, and iPod touch. WESTPHALIA. 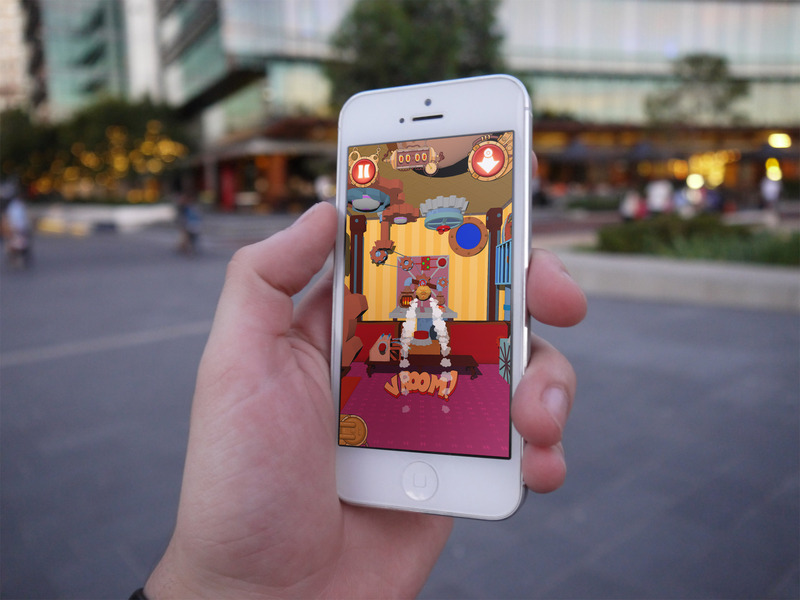 With innovative game apps, a young company from Schwerte, Germany is bringing people from all around the world together at the same virtual table: On their smartphones and tablets, they can challenge each other to a round — in games ranging from Checkers to Ludo. b-interaktive has now been nominated “Startup of the year 2014” in South Westphalia. Watch Famous Cartoon Series on your Smartphone for Free! Want to watch an episode of Benjamin the Elephant or Bibi Blocksberg before bed? The new app, Kidsbox.tv, brings the popular cartoon series to smartphones and tablets for the first time ever – and it doesn’t even cost anything. Initially, the episodes will be available in Turkish and Polish. Play LUDO now in a live duel — anywhere on the globe! Five generations had great fun playing LUDO — but the fun doesn’t end there: On its 100th birthday, this game classic is more youthful than ever. Game boards are being replaced by smartphones and tablets, enabling them to bridge any distance. First official testing of our upcoming title! For some time now we’ve been working on a project that will be released by the end of the year (if you want to know more visit our Facebook page). Last week we’ve finally had an opportunity to test our game on a group of the most demanding critics – children from 7 to 11 years old.